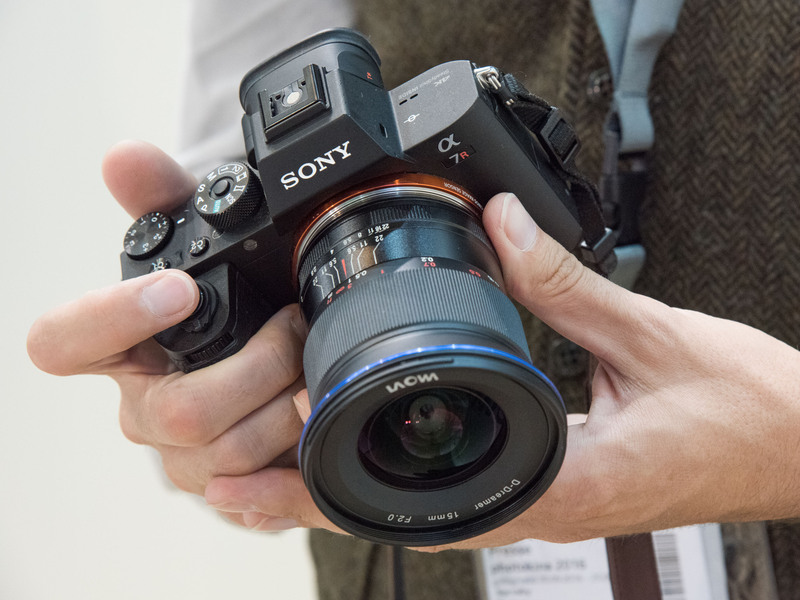 Venus Optics is showing off two brand new lenses at Photokina – the Laowa 15mm F2 FE for Sony E-mount and 7.5mm F2 MFT for Micro Four Thirds. 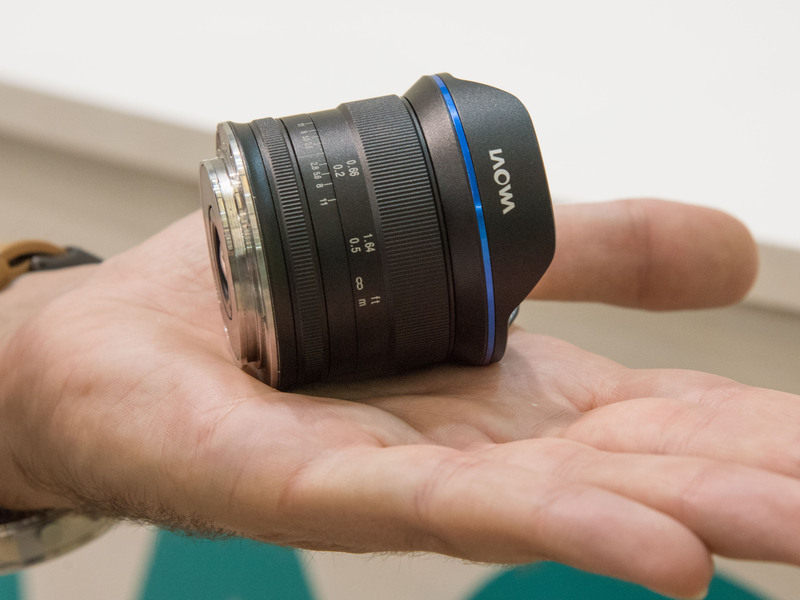 The 15mm F2 is being billed as the world’s widest F2 lens, and Venus Optics claims that it is virtually distortion-free. Designed for Sony’s full-frame FE-mount A7-series, the new 15mm could prove very attractive to videographers, as well as stills photographers. The mount is fully mechanical, so don’t expect to get automatic aperture indexing or focal length reporting. As such, metering is limited to the stop-down method. Videographers will be used to this way of working. 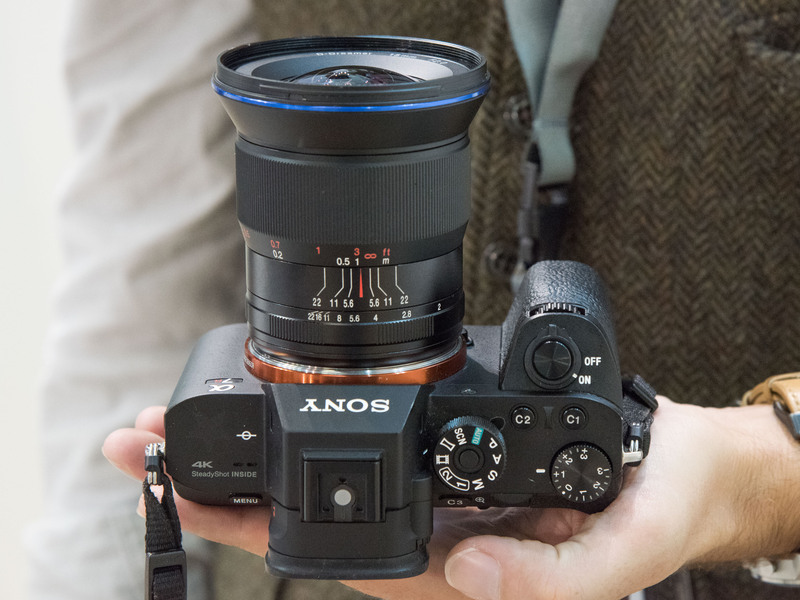 Here’s the 15mm F2 attached to a Sony A7R II. As you can see, it’s not a small lens, but actually balances very nicely with the camera. At 500g in weight (~1.1lb) it is substantial without being too heavy, in normal use. 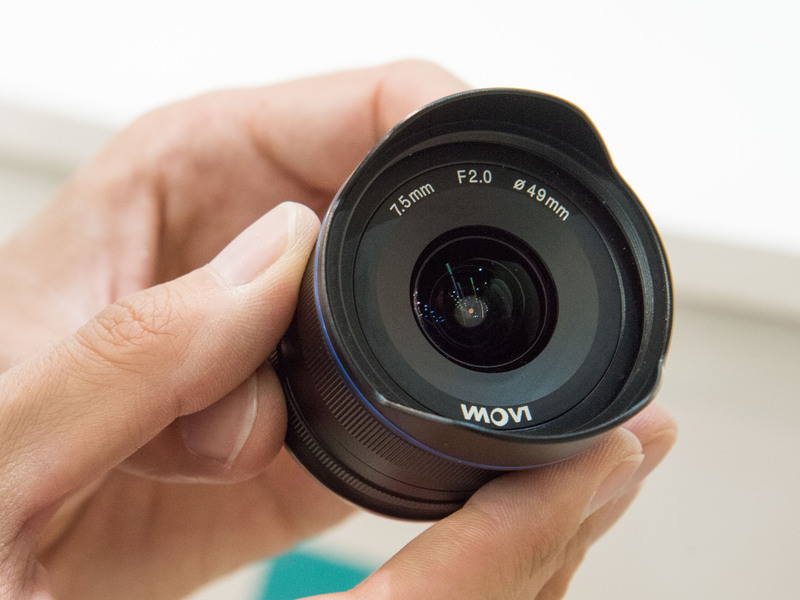 The minimum focusing distance of the 15mm F2 is around 6 inches, which equates to a maximum reproduction ratio of 0.25X. 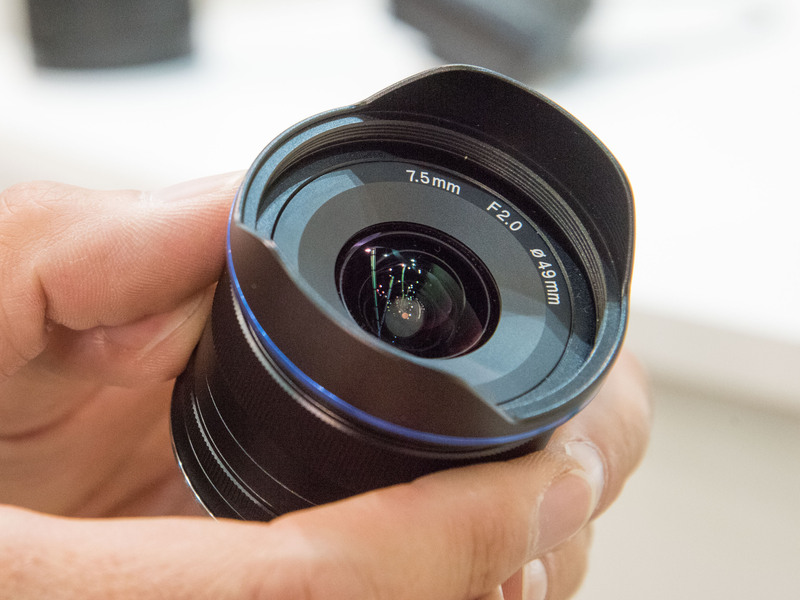 Pricing has yet to be announced but the lens should become available in early 2017. Next up is the 7.5mm F2 MFT, for Micro Four Thirds mirrorless cameras. 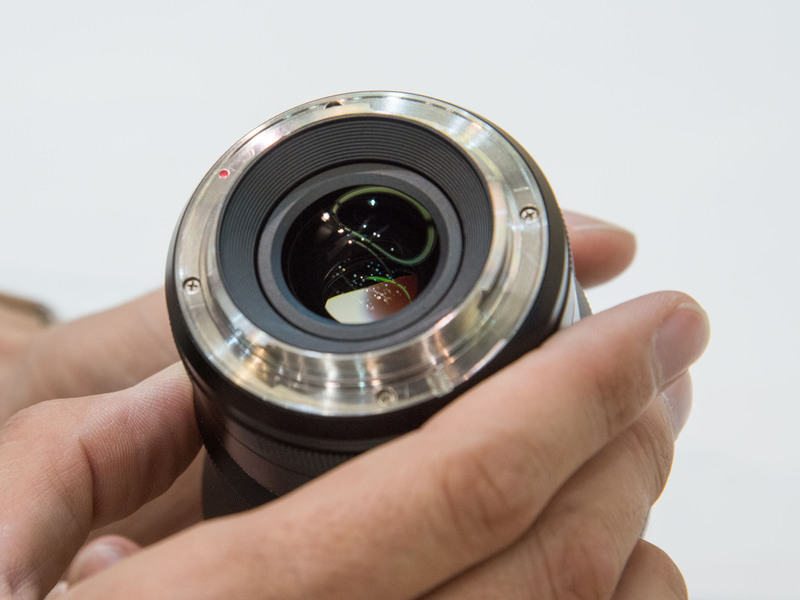 Designed to appeal especially to drone photographers this lens is absolutely tiny. Offering an equivalent focal length of 15mm, it weighs 170g (~0.4lb). 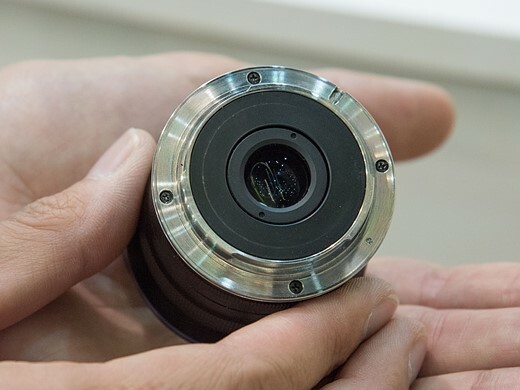 Again, this is a fully mechanical mount with no electrical contact between camera and lens. 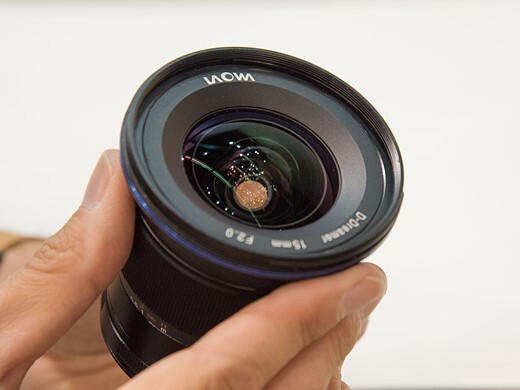 Interestingly, despite its ultra-wide focal length, the 7.5mm F2 can be used with screw-in filters (49mm) which could prove very handy to videographers who want to work with ND filters. 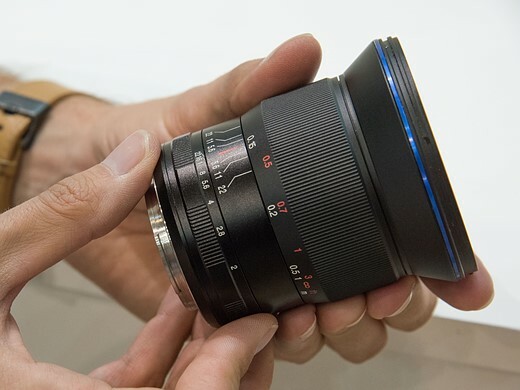 As with the 15mm F2, the 7.5mm F2 will be available in early 2017, and no pricing information has yet been released.